For more than twenty years, Keith F. Givens has aggressively represented clients throughout Oklahoma with diverse civil cases involving personal injuries, wrongful death, insurance coverage, bad faith, legal and medical malpractice, premises liability, employment disputes, defective products and other matters. 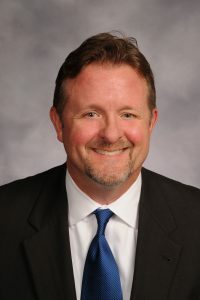 During his career, Keith has handled cases with nationwide implications and obtained many jury verdicts in his clients’ favor; including judgments exceeding $1,000,000. Keith’s expertise with personal injury and insurance cases has been recognized in various ways during his career, including his designation as a Super Lawyer® in both practice areas. Keith is licensed to practice in Oklahoma and Texas. Within the legal field, Keith has been an active member of the American, Oklahoma and Oklahoma County Bar Associations. Besides serving on numerous committees, Keith served as a Director of the Young Lawyers Division of the Oklahoma Bar Association. He was also an active member of the Luther Bohannon Inn of Court. In addition to litigating cases, Keith has presented wide-ranging topics at numerous seminars and written articles for various legal publications. Keith also authored the first two editions of “Organ and Tissue Donation Under Oklahoma Law” for the OBA-YLD Gift of Life Project which he created in 1995 after his wife suffered a life-threatening medical crisis that required her to have a kidney transplant. Keith played a significant role in the creation of Oklahoma’s donor registry and he served as a charter member of Oklahoma’s Advisory Council on Organ Donation after a previous Governor appointed him to that position. Copies of “Organ and Tissue Donation Under Oklahoma Law” can be obtained at www.okbar.org/Portals/14/PDF/Brochures/organ-donation.pdf and Oklahoma’s donor registry is available through www.lifeshareregistry.org/register. Keith also has a passion for serving his community. Prior to law school, Keith raised money for various charities. During law school, he volunteered for Big Brothers & Big Sisters of Cleveland County. After he completed his legal education, Keith served on the Board of Directors for Calm Waters Center for Children & Families as well as Big Brothers & Big Sisters of Oklahoma County. For the past fifteen years, Keith has been representing abused and neglected children through Oklahoma Lawyers for Children. He also serves on the Board of Directors for the Speck Homes for Boys which provides extensive services and life-skills training to boys who desperately need them. Keith was born in Colorado, but he was raised in Oklahoma City and earned his BA and JD degrees at the University of Oklahoma. After living in Dallas and London, Keith returned to Oklahoma where he started his legal career in 1995. During his personal time, Keith enjoys attending concerts and OKC Thunder games, cycling and traveling just about anywhere. He also loves spending time with his wife, Brenda, and their family and friends.